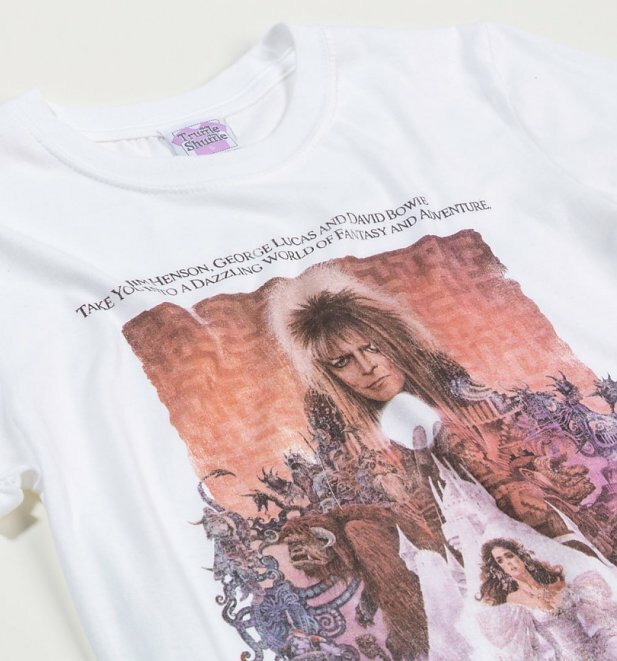 Inspired of course the totally iconic 80s movie starring the late great David Bowie as Jareth and Jennifer Connelly as Sarah, pay homage to the fantastic fantasy film Labyrinth with this wicked tee, which features the original theatrical release poster graphics. 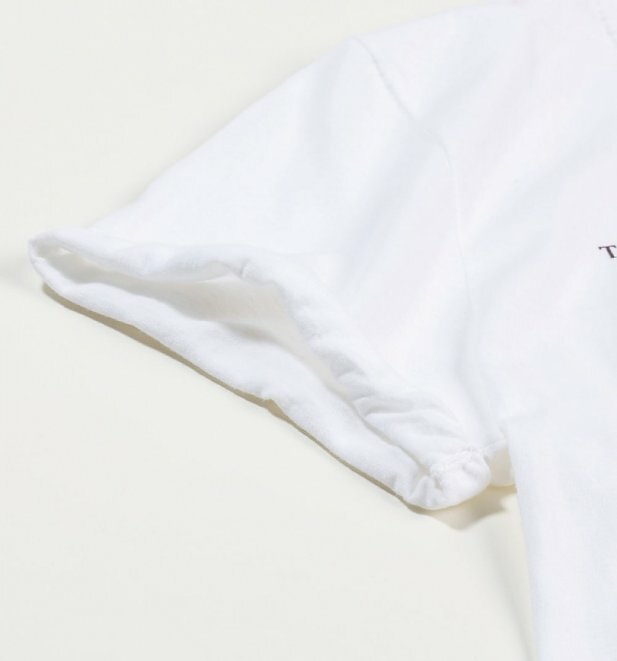 Review: Taille un peu plus grand que les autres. 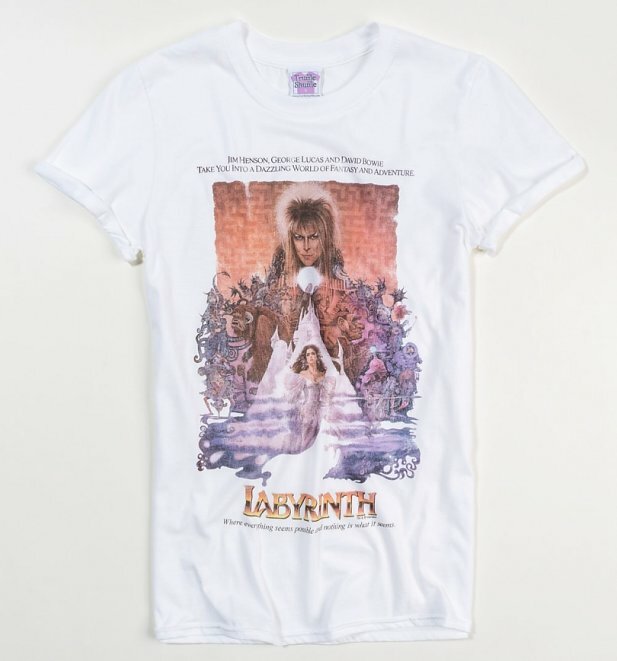 Parfait pour moi. 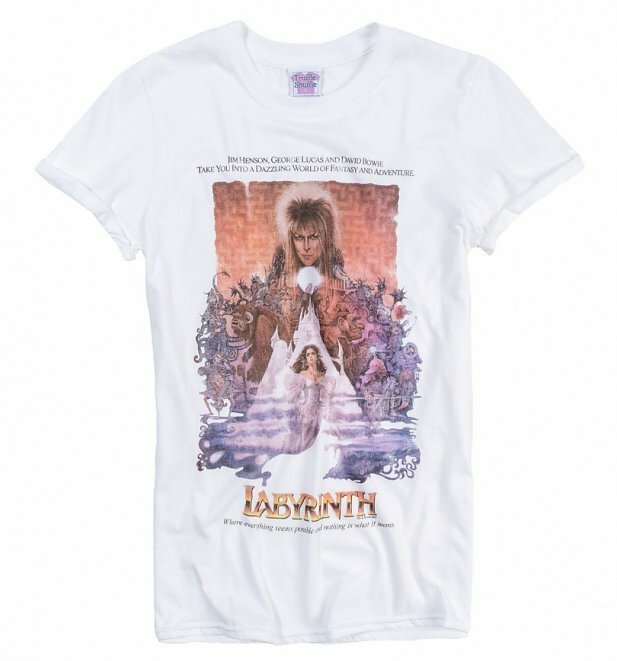 Review: TruffleShuffle's usual good quality material, well made & with the Labyrinth's retro design.